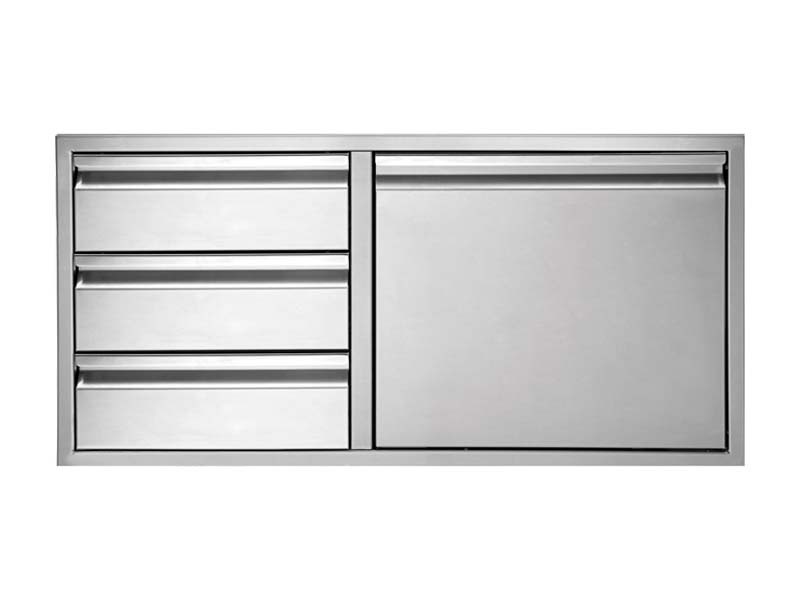 Drawers feature self-latching, and 100 lbs. 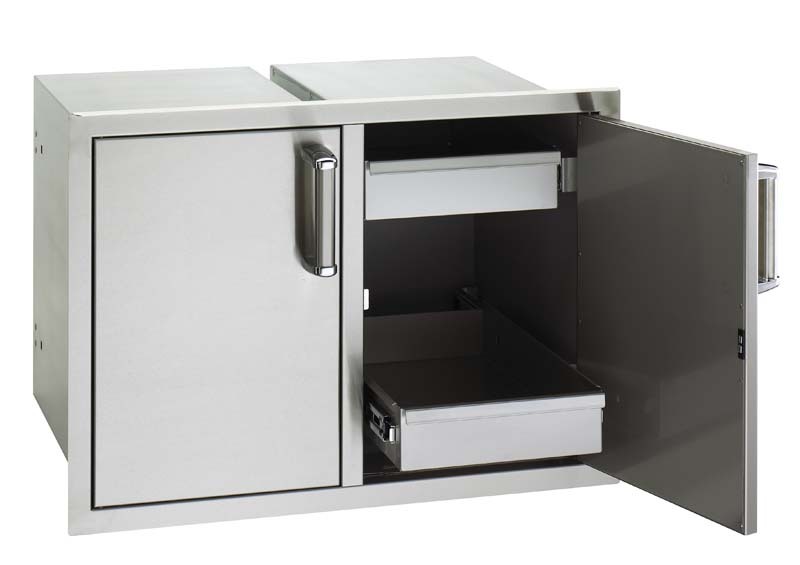 capacity, full extension slides. 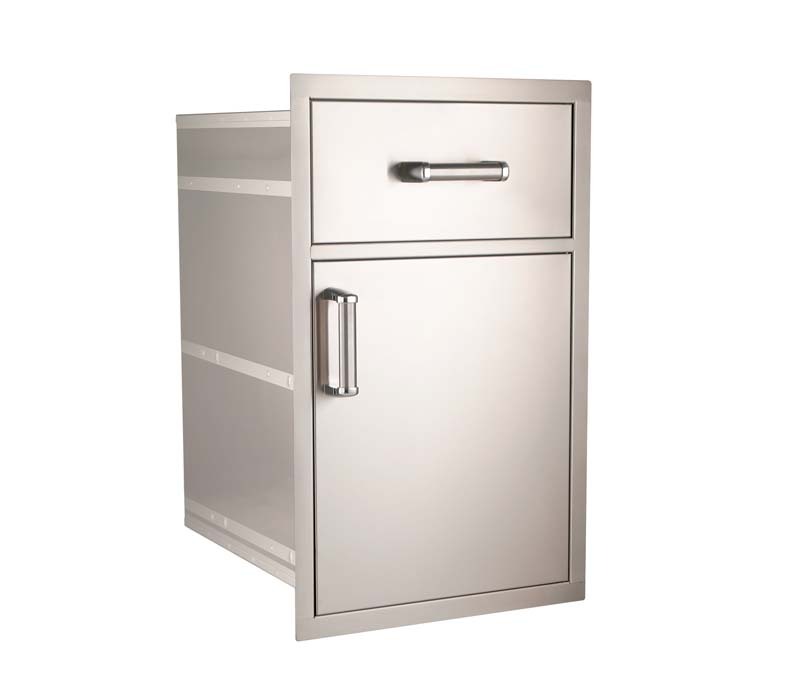 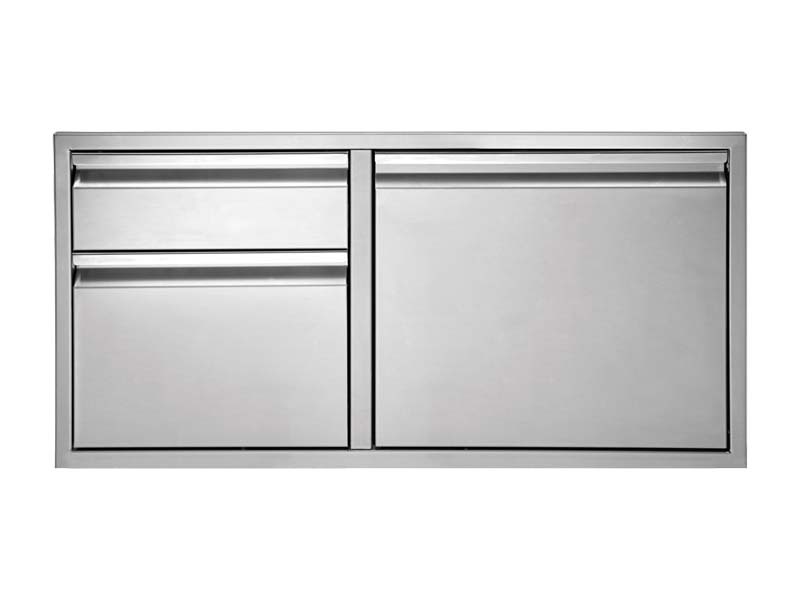 The Twin Eagles door/drawer combo units give your outdoor kitchen convenience of open access storage, with the versatility of enclosed storage drawers. 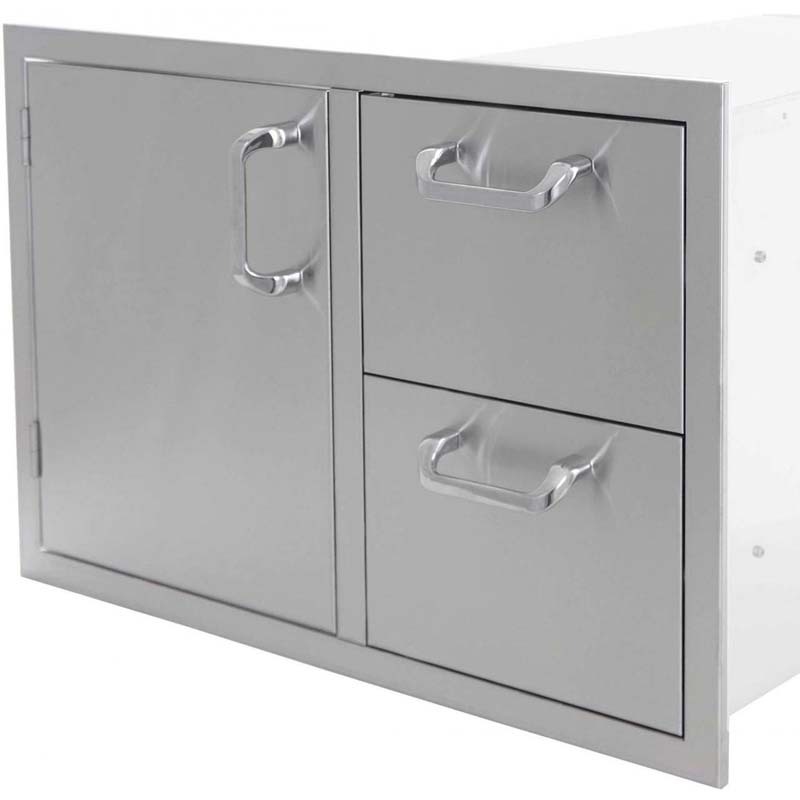 Units are available in 30″, 36″ and 42″ sizes.